In the early 1950’s, Yale singing groups included the Yale Glee Club, the Whiffenpoofs, and a myriad of similar barbershop harmony ensembles. In 1953 they were joined by the upstart Yale Russian Chorus. Denis Mickiewicz, a student at the Yale School of Music and George Litton, President of the Yale Russian Language Club, formed the group. 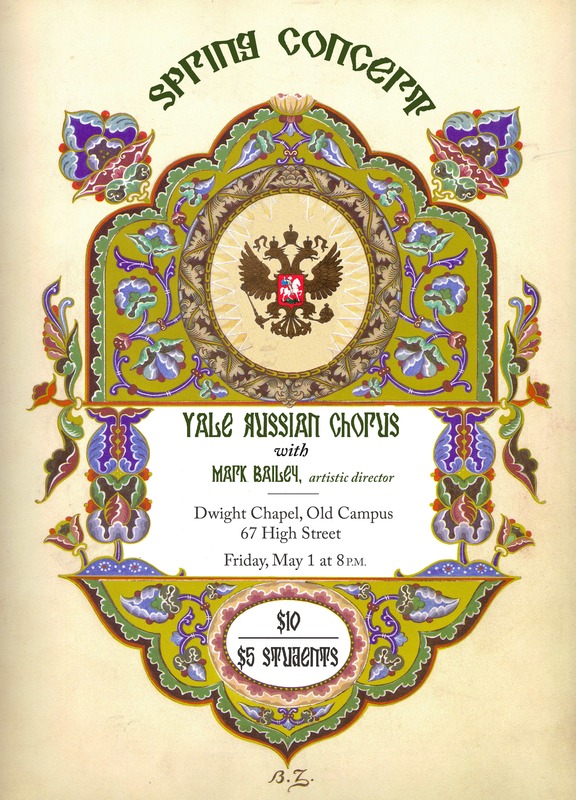 The YRC sang Russian sacred and secular music never before heard at Yale. The Cold War was frigid. Joe McCarthy was rampant. It took courage to sing in Russian. The music spoke a language of its own, transcending national conflicts and captivating audiences. The YRC recruited not only undergraduates but also experienced singers from Yale’s graduate and professional schools. The YRC has made 16 tours of the USSR, won international choral competitions, produced more than a dozen recordings, and performed for the Presidents of the United States, France and the Russian Federation. The Chorus became known across America and spawned offspring choruses, such as Slavyanka in San Francisco, which has a repertoire similar to the YRC’s, and the Yale Slavic Chorus, a women’s group that sings mainly Balkan songs. Once Founding Conductor Denis Mickiewicz left Yale to pursue his academic career (around 1963), other student conductors assumed musical leadership of the YRC, succeeding one another upon graduation. Alumni conductors Dan Gsovski and John Stewart are joined now by Stepan Sveshnikov, the current conductor of the YRC. 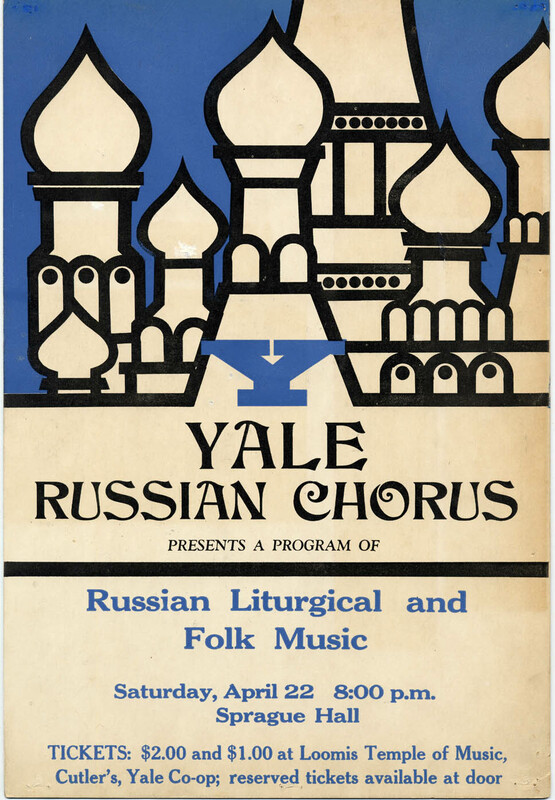 You can learn more about the history of the YRC through the Yale Russian Chorus Alumni Association website here.